For eighth-grader Vanessa, the easy going life of summer vacation stretches before her in all its glory. Her visions of sleeping late every morning, lounging around, and watching as much television as possible evaporate quickly, though. Her mother has arranged for Vanessa to spend two weeks with her aunt, uncle, and cousins—on a farm! This is definitely not in the plans she has in mind for her summer of 1967. After settling in, however, new worlds open up as Vanessa gets to know her relatives and their different way of life. After initiating their “city slicker” cousin to life on the farm, Emma, Luke, Daniel and their friend Jim introduce her to adventures she never dreamed she’d encounter. 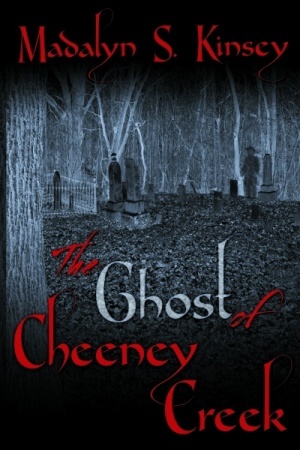 When the kids share the legend of a Civil War era ghost who haunts the area, and they become deeply entangled with the mysteries of an old, abandoned house, their exploits set them on a perilous path—a path that their curiosity and family loyalty dictate that they must follow. This is the second book in a series about the adventures of 14-year old Vanessa and her cousins in the summer of 1967. As the summer of 1967 wanes, 14-year-old Vanessa receives an urgent message from her cousin Emma to return to their Indiana farm to help resolve a pressing dilemma. Loving both her cousins and mysteries, Vanessa begs to go. 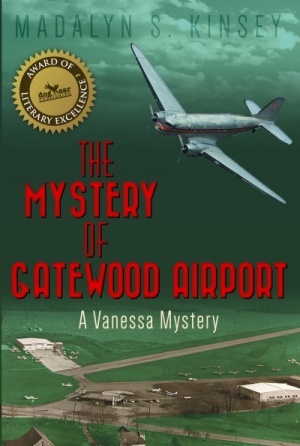 Shortly after arriving, Vanessa is swept into a whirl of activities at the nearby municipal airport. She begins to pull together clues indicating a local bigwig is up to no good using airport facilities that may involve illegal exotic animal smuggling. Secretly observing the airport from a tree house built near the airport’s perimeter, the girls, together with cousins Luke and Daniel, piece together a shady operation that must be stopped. In this third installment of the Vanessa Mystery Series, our heroine, 14-year old Vanessa is again visiting her cousins on the family farm near Fishers, Indiana, as the summer of 1967 is winding down. 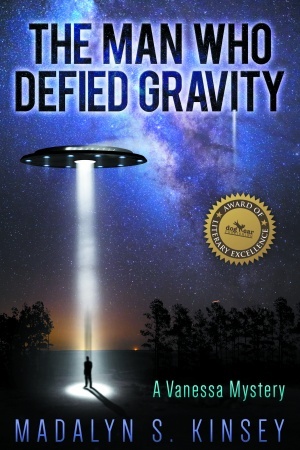 There’s been a mysterious house fire, and her cousin Luke has seen a multicolored craft hovering silently over the Indiana skies two nights in a row. Vanessa, Luke, Emma, and Daniel, along with their friend Jim, begin to investigate. Could Luke have seen a UFO? And, who is the unfriendly new German neighbor, Mr. Kleinschmidt? Could he be a former Nazi? Who is the bald man with the large skull tattoo on the side of his face seen lurking in the woods? 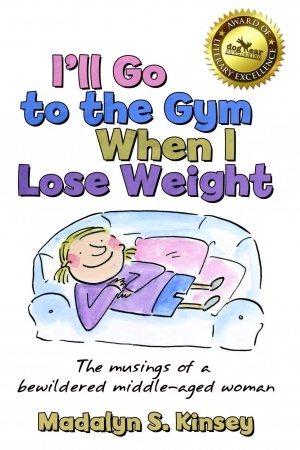 In I’ll Go to the Gym When I Lose Weight, author Madalyn Kinsey allows us to laugh along with her as she candidly reveals weaknesses we all know only too well. She belongs to a gym she’s never visited, and shudders at the thought of running into friends at the grocery who’ll see the cookies, chips, and soda in her shopping cart. She fears offending the personal assistant in her phone by asking for the same information too many times, and struggles to deal with memories and self-loathing when cleaning her closets. This candid and funny book is a breath of fresh air for women (and men) who want to enjoy the humor of a bewildered middle-aged woman as she not only examines her own foibles, but also the absurdities of the world she observes around her. Why is it so complicated to order at Starbucks? Is re-gifting really socially acceptable? Are unisex bathrooms a good idea when certain segments of the population are a bit lax in their manners? How will people in the future read historic documents if we stop teaching cursive? She may not have all the answers, but she makes examining the issues a whole lot of fun.